We hope that your celebration goes well. 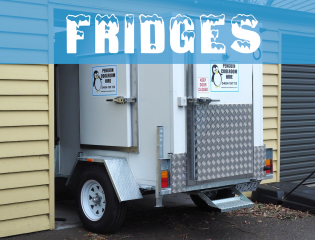 The following questions and answers should ensure that when it comes to the all important storage and cooling of your food and drink, things will run smoothly. 1. What safety features should I be aware of? Customers should be aware of the dangers of working in a confined space. All Penguin coolrooms are fitted with a safety handle on the door and are electrically tested and tagged. 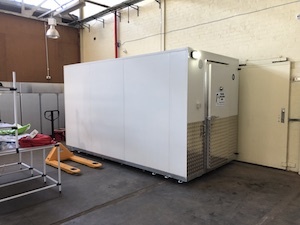 The new generation of Penguin Coolrooms have two interior lights that are permanently on while the coolroom is connected to the power supply. There is also an internal Stop switch on the refrigeration unit. This is for emergency use only. You must ensure all staff and helpers are aware of and know how to use these features. 2. How big is the Coolroom ? The minimum clearance height of your Penguin Coolroom is 2700 mm. That's nine feet in the old language. 3. Where should we install it? A level site is required, with acceptable vehicular access. Also, a regular 3-pin power plug should be within 25 metres of the chosen site. 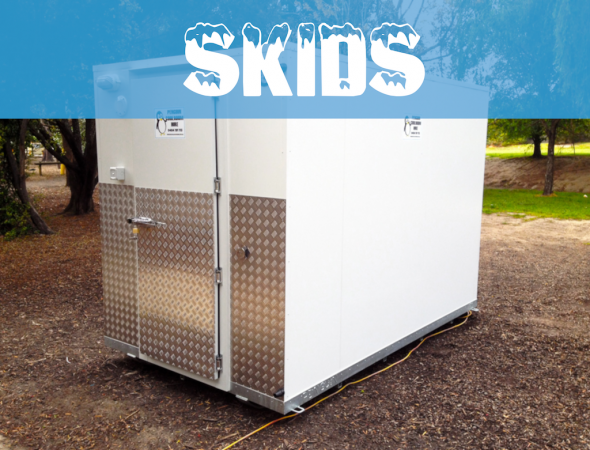 The Coolroom runs on standard electricity and a power cable leading to the plug will be supplied. 4. Do we need to set it up? No. 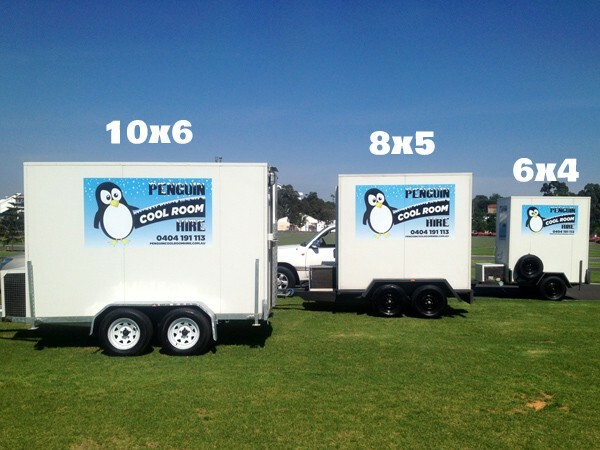 Penguin Coolroom Hire will deliver the unit and set everything up for you. 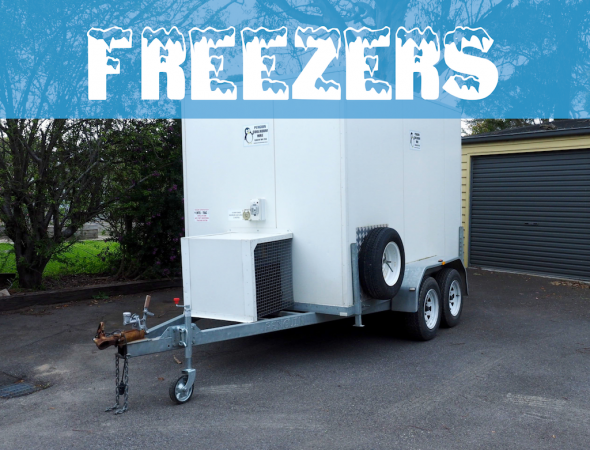 We pride ourselves on our punctuality, cleanliness and fleet of up-to-date coolrooms. 5. What's the best way to arrange the food? There are four shelves inside, each 2200mm by 400mm, fixed to the sides. Use the shelves for salads, pies, cakes, desserts and so on. When stacking the cartons or slabs, it helps to keep them away from walls. 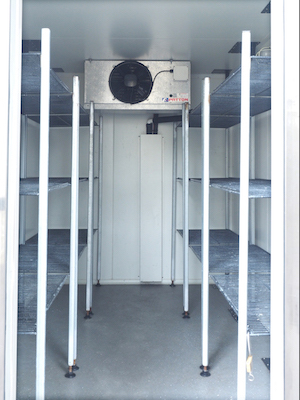 This leaves gaps for the air to circulate, allowing the coolroom to work more efficiently. 7. How about getting things really cold? Give serious consideration to the lead-time to your event. 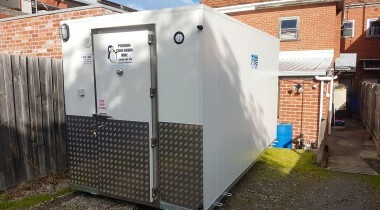 Penguin Coolrooms can do wonders, but they cannot perform miracles! Depending on quantities, it can take up to several hours to refrigerate some product, so try and co-ordinate everything and give yourself plenty of time. With drinks, a good idea is to arrange for them to be delivered cold, after your hiring has commenced. There are two aspects to this. 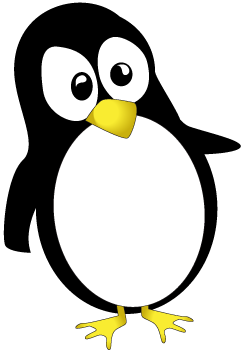 In the first instance, a Penguin Coolroom weighs 750 kg, unladen. But you would be surprised how this presents a challenge to some people. When it is delivered and set up, it will be wheel-clamped, and is not to be moved. Secondly, you may be concerned about the security of your contents. 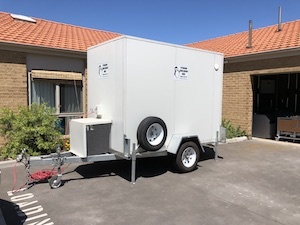 We supply a padlock, suitable for the coolroom door keeping your contents safe and giving you peace of mind, allowing you to enjoy your function. Accounts are available on request. Alternatively payment is due upon delivery of the Coolroom to your site. 10. So, I can relax? Absolutely. Once all the preparations are done, enjoy your function. And a big thankyou for your patronage. 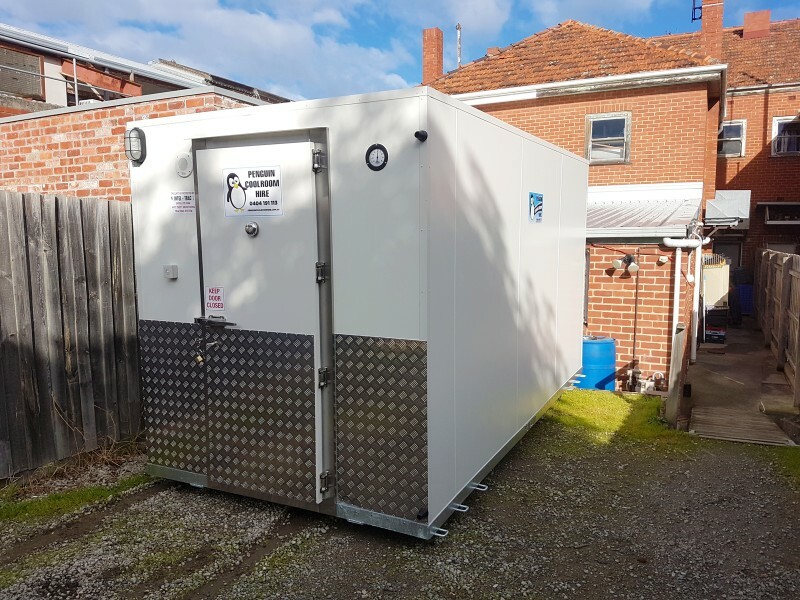 Penguin Coolroom Hire looks forward to providing you with the highest standards of service at all times.